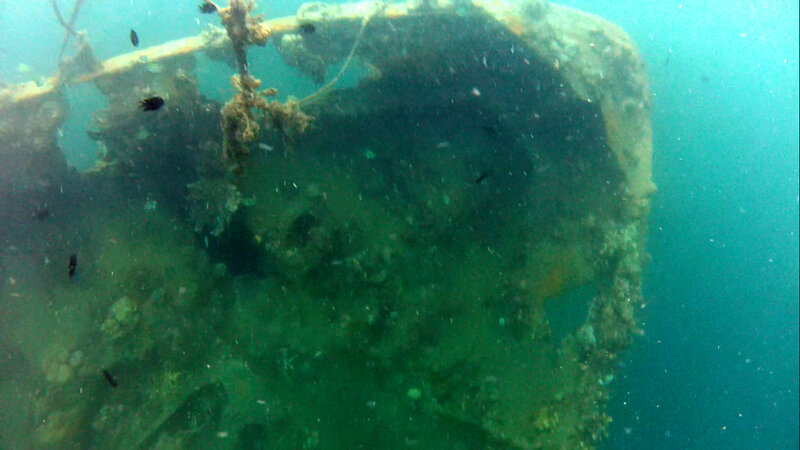 The waters around Coron, in the Palawan archipielago, are a world-class destination for wreck diving. There are 24 Japanese ships sunk during an American strike in 1944. The story of this fleet is one more chapter in the fascinating Philippine history, which includes key roles in the Spanish-American war and WWII, mandatory reading for anyone visiting the country. We landed in Busuanga airport around 1pm after arriving in Manila early in the morning from Banaue and fighting to get on a plane at the antiquated Manila airport. Our idea was to go diving that same day, so we hurried up on a taxi van, got to the main street in Coron and arranged the dive with www.divecal.com. 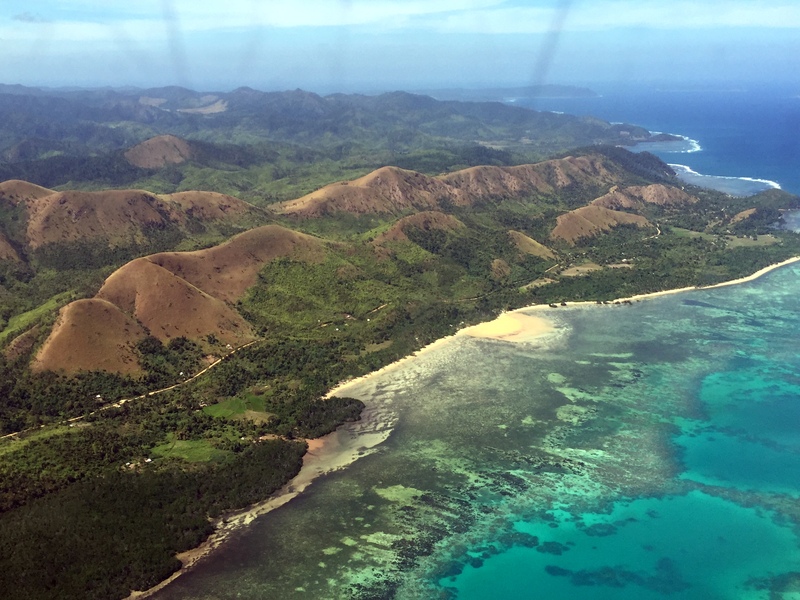 The coastline we had seen from the plane window was gorgeous, and we were eager to get in the water. 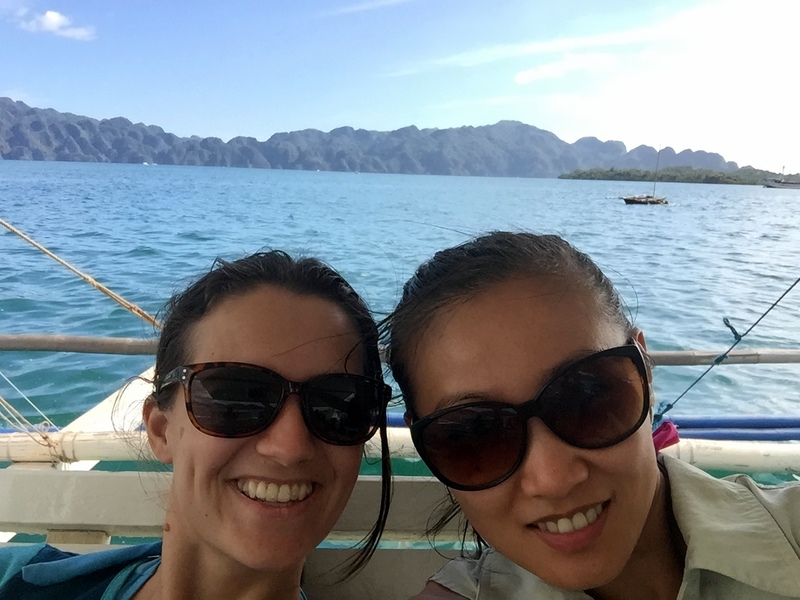 After 1.5 hours boat ride, we arrived at our first site, the Tangat Gunboat. 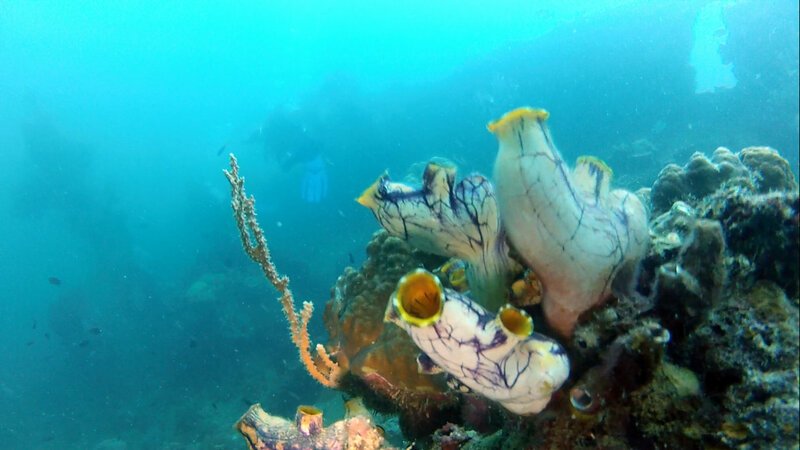 Laying inclined on the reef at between 3 and 22 meters, this 40 meter submarine hunter is considered one of the easiest dives in Coron, and a great way to get started. 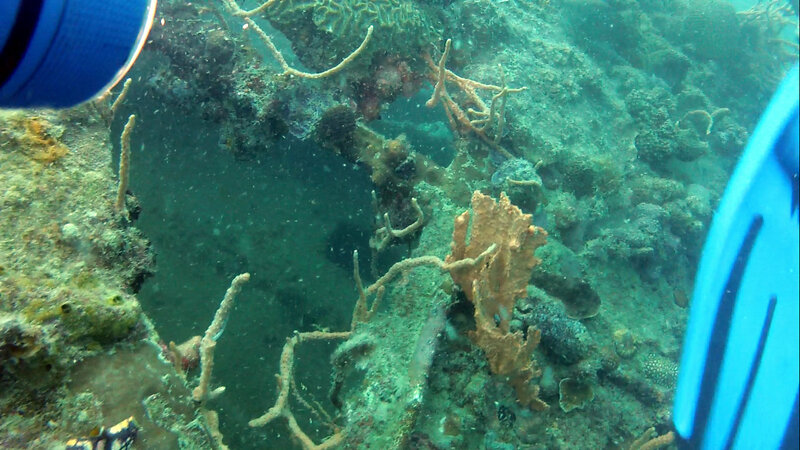 As soon as we began our descent, we saw the ship’s bow, well preserved and covered in corals and small fish. Visibility wasn’t the best, due to recent storms and the late hour, but the whole scene was stunning. We swam inside the boat, over the deck and on the sides for about 50 min, regaining the mighty feel of diving (we only dive 1-2 times a year). 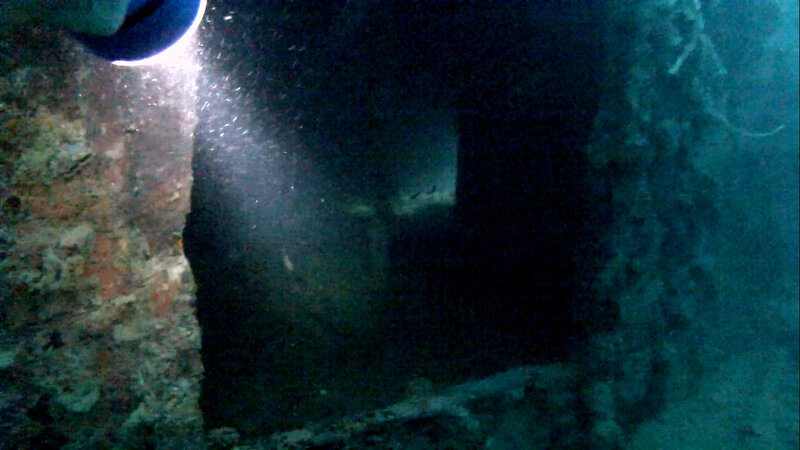 During the surface interval, the boat took us to our second dive site, the Olympia Maru. This 122 meter Japanese freighter sits straight at about 30 meters of depth. 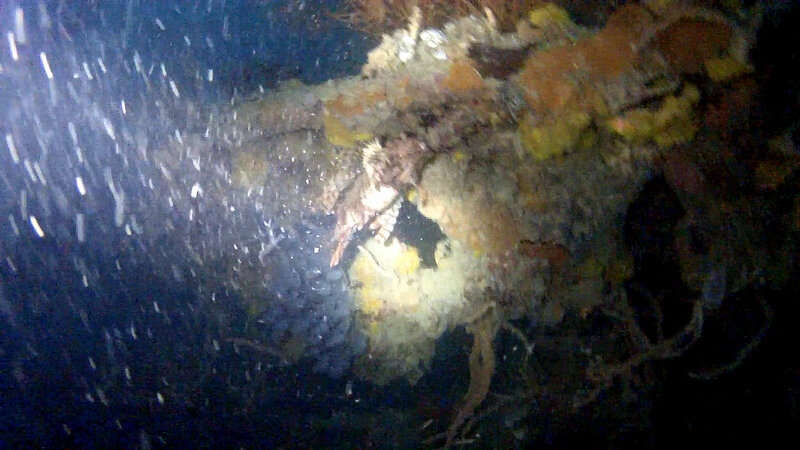 We descended by one of the intact masts and started the exploration through the cargo rooms. It was dark and phantasmagorical, with little light coming through portholes and bombing holes and from our flashlights. The ship felt enormous and I lost the sense of time; when I got back, I saw in awe the first pass through the inside had taken us nearly 15 min. 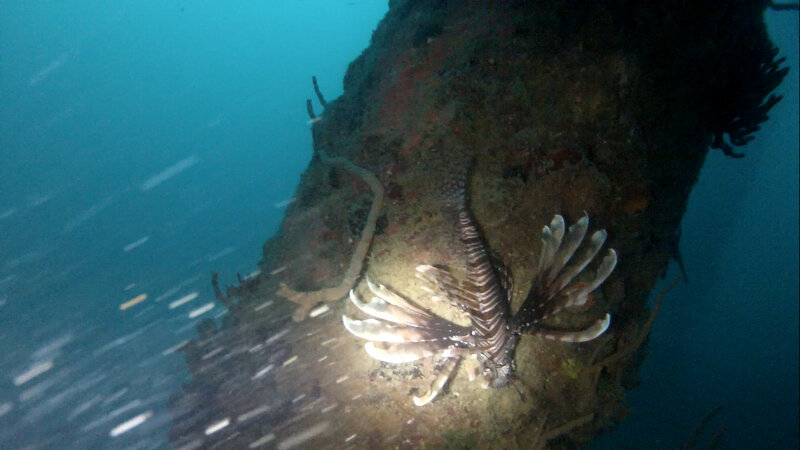 On the deck, Elena spotted a huge lionfish, and I found a camouflaged scorpionfish… apart from the classic clownfish and batfish, and colorful soft and hard corals. 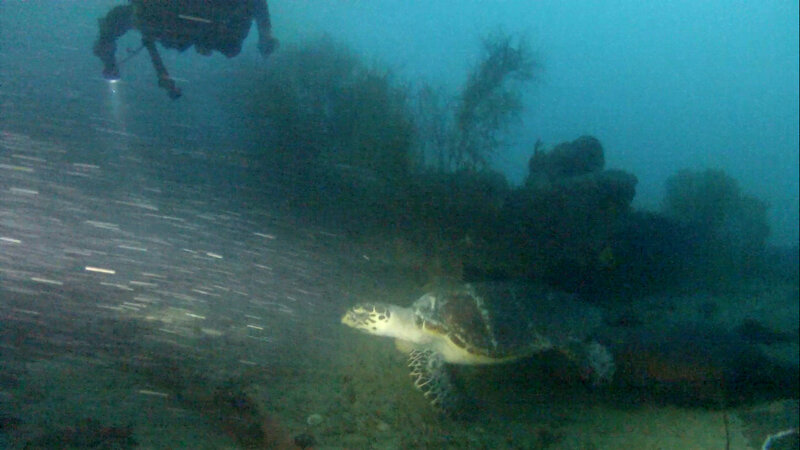 Joel, our dive master, signaled to point at a big turtle that was hiding under a piece of metal. After 30 min, it was time to start ascending, though I would have stayed much longer exploring all the nooks of the ship. We emerged to the last rays of sun, exhilarated by the experience. I’m afraid the attached pics don’t make justice to what we saw, GoPro doesn’t behave well with low light. Take my word, this is a must do for any diver. What an exhilarating experience! I will be travelling to Coron at the end of they year and wreck diving is firmly on my itinerary and your posts have added to the excitment! What diving qualifications do you need to go inside the wrecks and what model go pro were you using? you’re going to love these dives!! Ideally, you should have the PADI Advanced Open Water certification, but if you have just the Open Water and show good buoyancy control, your divemaster will likely take you these more complex wrecks. You did not go to the Kayangan Lake? They say the view there is breathtaking! my know-how here with mates.